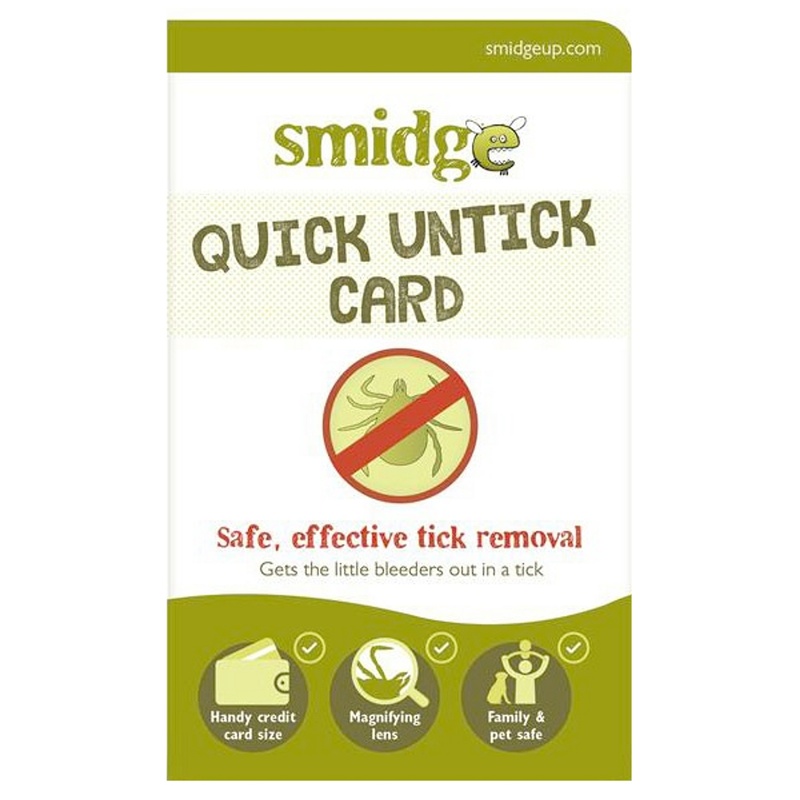 This Smidge Quick Untick Card allows the safe and easy removal of any size of tick. 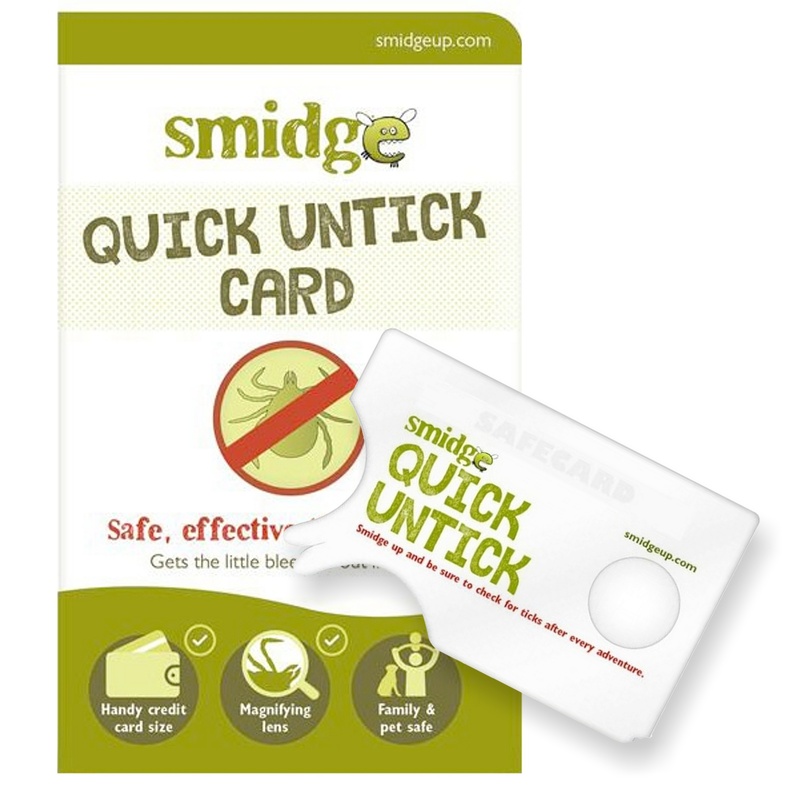 Each Quick Untick Card features a big ticks and a small ticks remover, plus a 3x magnifying glass to help you see the ticks. 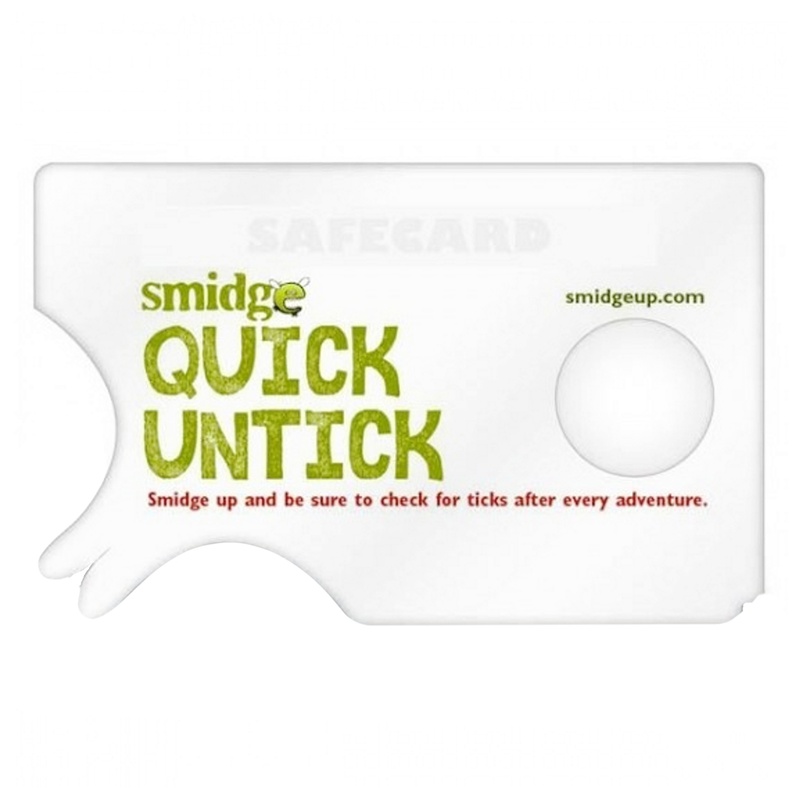 The smidge card is perfect for keeping in your wallet, purse or bag and can cope with all tick sizes, from the smallest nymph to the largest adult.